PELOBiotech GmbH announces the partnership with the highly innovative biotech company Noviocell BV (Oss, Netherlands). From September 2018 on the 3D cell culture specialist PELOBiotech gets the distribution rights to Noviocell’s full product line for the life science research market within DACH. Noviocell BV has established a smart synthetic hydrogel for 3D Cell Culture ranging from organoid growth to personalized medicine. These hydrogels can easily change their physical condition enabling easy-to-use 3D cell culture products. Noviogel is a bioelastic reversible thermosensitive synthetic solution for 3D Culture based on Polyisocyanopeptide (PIC) hydrogel, a new class of advanced polymers. PIC hydrogel is an improved platform for cell studies, because it combines the unique benefits of natural and synthetic biomaterials. 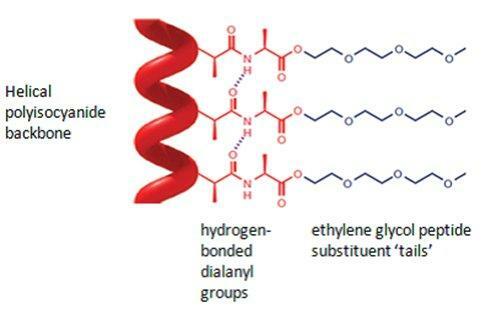 PIC hydrogels uniquely perform like collagen, while possessing the same characteristics as other commercial hydrogels. Furthermore, it is fully reversible thermo sensitive, cells can be easy recovered and downstream processing after culturing is straightforward. Noviocell Syntrix is a synthetic, bioactive cell culture matrix based on self-assembling hydrogel technology. Gels form rapidly and spontaneously under physiological conditions from appropriate precursor solutions, allowing mild encapsulation of cells. “It’s a novel ground breaking technology that radically improves stem cell research and revolutionizes the field of 3D cell culture.”, said Dr. Juliette van den Dolder, CEO of Noviocell. “I`m sure this great technology improves personalized drug screening radically and will reform the current therapeutic options for regenerative medicine”, said Dr. Peter Frost, PELOBiotech’s CEO and leading 3D Cell Culture expert. Noviocell BV is a highly innovative biotech company headquartered in Oss, The Netherlands. It focuses on the development of the first ever synthetic solution for 3D cell culturing, ranging from organoid growth to personalized medicine.Noviocell develops easy-to-use solutions for biomedical researchers, biotech and pharma industry and clinicians building upon its two proprietary hydrogel technologies: the soft thermo-responsive helical oligo(ethylene)glycol polyisocyanopeptides (PICs) hydrogel and the programmed self-assembly of peptide-modified cyclohexane triacid derivatives into self-assembled nanofibers. PELOBIOTECH GmbH is based in Planegg (Munich area), Germany, and a leading distributor of high quality and innovative life science research tools and reagents with a focus on 3D cell culture. With over 25,000 products it has one of the worldwide broadest portfolio of primary cell and stem cell biology solutions. With its worldwide network of innovative and highly specialized companies PELOBiotech is a scientist’s first place to go.